The patent covers a gesture-based video editing toolbar for the iPad. It suggests a whole new approach to controlling and manipulating media using gestures in the form of everything from shapes to symbols and letters or user-defined patterns. One of the illustrations included in the patent shows a menu of selected gestures for such actions as making selections, pointing, facial recognition, and creating associations among objects. The patent refers to a master table of gestures that isn't included in the patent documentation, but it seems that users can also create new gestures, raising wide possibilities for use. 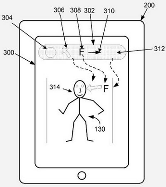 The focus of the patent is gesturing by making motions with the fingers across a multitouch screen, but it also mentions 3-D gesturing using a device's front-facing camera. 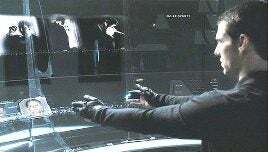 This could bring technology similar to that employed in the Microsoft Kinect to iOS devices. In fact, an earlier Apple patent deals even more specifically with 3-D gestures. The apparent idea behind that one is to combine multitouch and 3-D gestures to easily create 3-D objects and models for applications in design fields such as architecture. Whatever Apple has in mind, it seems to be focused on the iPad. The gesture-based video editing toolbar patent includes a section on importing video from an iPhone to the iPad and hints at a lack of processing power in the iPhone to take full advantage of the features.